CBD Oil Review rates the Dose of Nature line with two stars because it qualifies for the Mission & Innovation Badges. Dose of Nature impresses us with their belief that often, all a person needs to heal is some sunlight and fresh air – as well as kicking pharmaceuticals to the curb in favor of natural healing from CBD. 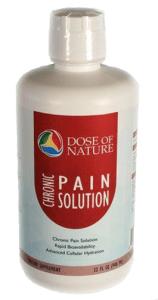 Dose of Nature goes to great length to describe their technologically advanced BioXTrax™ and BioPulse procedures, yet sell themselves short with the muddled presentation of information on their site. While we have little doubt that Dose of Nature offers some exceptional and highly bioavailable CBD products, we need to see clarification of their relationship with vendors for whom they sell products, as well as Certificates of Analysis to verify laboratory testing for common contaminants. Dose of Nature talks about some ideas that we can definitely get behind. They get their name from the idea that sometimes all anyone needs is literally a dose of nature; get outside, get fresh air, and be active in nature. We enjoy how passionate Dose of Nature seems to be about getting people off what might be unnecessary pharmaceutical drugs, and onto something safe, natural, and effective. One will find a wealth of information about two proprietary technologies this company utilizes; BioPulse and BioXTrax™ on Dose of Nature's site. BioPulse is similar to liposomal delivery, but the difference is that they combine the nanoparticles with water clusters (HydroPods) instead of fat molecules. 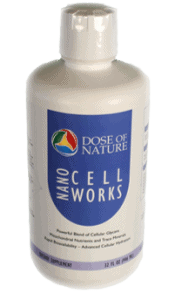 They claim this process makes the nutrients highly bioavailable and also very hydrating. BioXTrax™ bonds herbs and nutrients into a concentrated glycerite, making virtually any herb easily digestible. Interestingly, after all this hullabaloo about such technologically advanced methodologies, Dose of Nature does not put CBD to use in any of their products. Instead, they offer products that would be better defined as supplements or nootropics – cannabidiol is nowhere in the ingredients. Instead, they offer CBD products from brands such as BoHemp, BFF Select, FreeStyle, and RedStrap – bringing four other vendors to the table that you can choose to trust, or not trust. Adding to the confusion, they state that RedStrap utilizes their BioPulse/BioXTrax™ CBD, while elsewhere RedStrap is listed as Dose of Nature’s supplier. 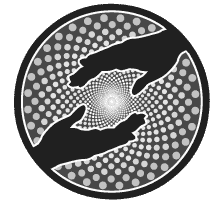 Some of the vendor’s info pages state they use organic hemp, and some don’t – although one commonality amongst them is Certificates of Analysis for laboratory testing are nowhere in sight. It is possible that some of the brands under Dose of Nature’s umbrella offer premium CBD products, we need to see more explicit descriptions of each brand and their relationship with Dose of Nature, as well as CoA’s for lab tests. Dose of Nature is one of the few companies producing nano CBD products with emphasis on absorption and getting the most from their products. Dose of Nature is clearly committed to sustainability and ending ineffective prescription drugs and their side effects. Might Not Be Safe – Dose of Nature mentions no lab testing of their products nor do they provide lab results online, without transparency it becomes difficult to know if their products are safe to consume.